Want More? Sign up for heartfelt news, sent to your inbox. See our Blog for more details. Click for a list of our previous giveaway winners. 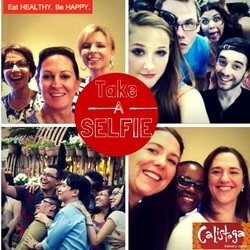 Calistoga Bakery Cafe will be running a month long #SELFIE promotion! Please take a photo of yourself or friends at their restaurant and post it on their timeline. Winner will be awarded a $250 Gift card! Winner will be announced Saturday, May 10th, 2014.